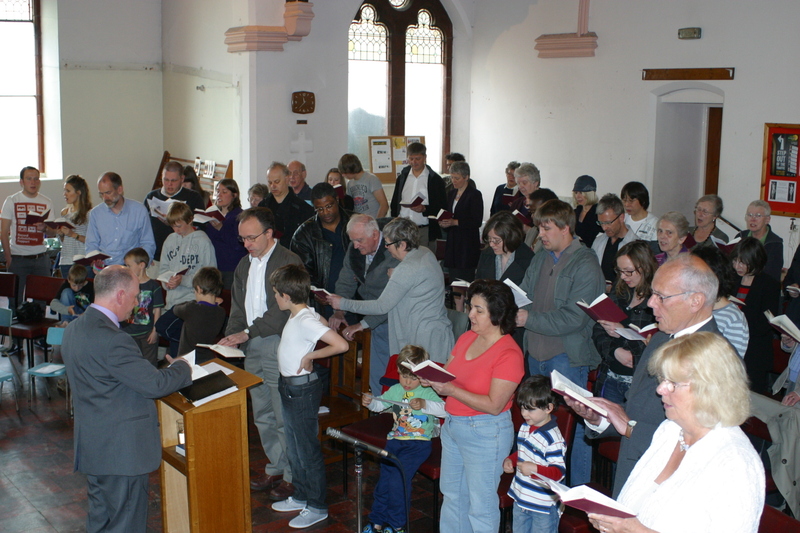 On Sunday 22 May we held a final service in our old sanctuary before closing it for refurbishment. During the service we showed slides of memories associated with the sanctuary over the years. Click on the photo below to view the images (pus a couple of extra ones). Last Sunday (22 May) we held our final service in our current sanctuary. This was an all-age service in which we celebrated all that has happened in the church building and looked forward to all that will be possible when our building project is completed. As part of the service we showed slides featuring people and events associated with Didsbury Baptist Church over the last 30 years or so. I will post the slides here later this week. Our sanctuary is now closed for refurbishment and will reopen later in the year. 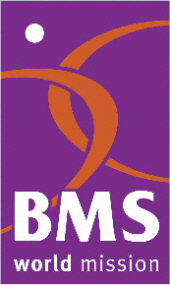 Until then, we will meet on Sundays at Beaver Road Primary School Hall. If you are near Didsbury any Sunday, you would be very welcome to join us there. This week we join with Christians of all denominations to participate in Christian Aid Week. Members of Didsbury Baptist Church will be collecting, giving and praying for the work of Christian Aid to end poverty across the world. 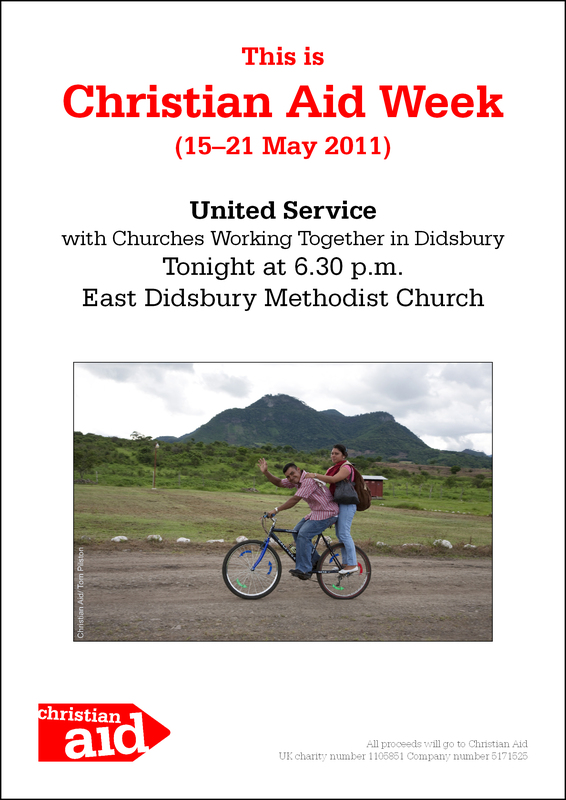 We start the week by praying with Churches working together in Didsbury at an ecumenical service to commence Christian Aid Week held at East Didsbury Methodist Church tonight at 6.30. If you are in the area and can join us, please do. 25 piece band Swingin’ Affair will appear in concert at Didsbury Baptist Church tomorrow evening (Sat 7 May) at 7.30 p.m. Tickets are £6 (£4 concessions).